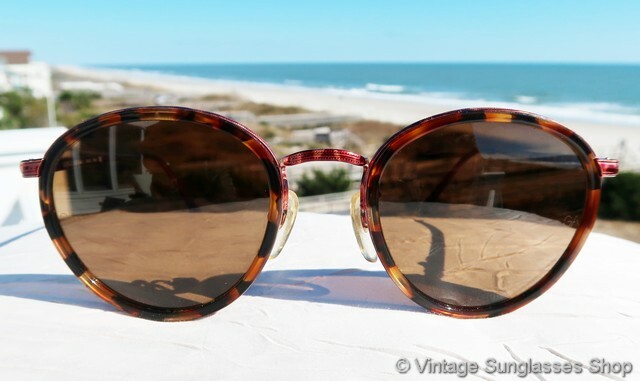 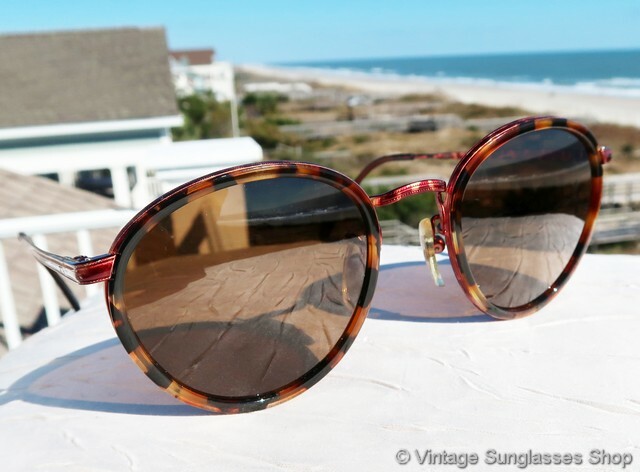 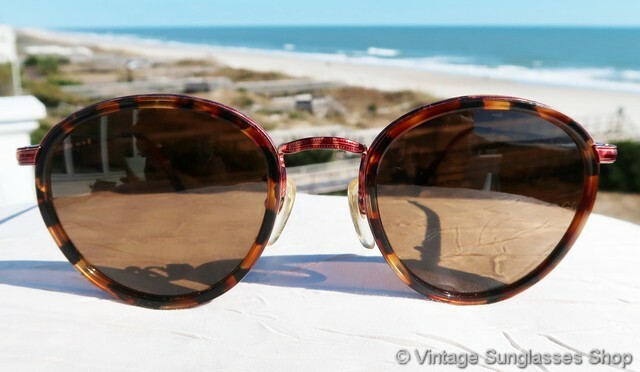 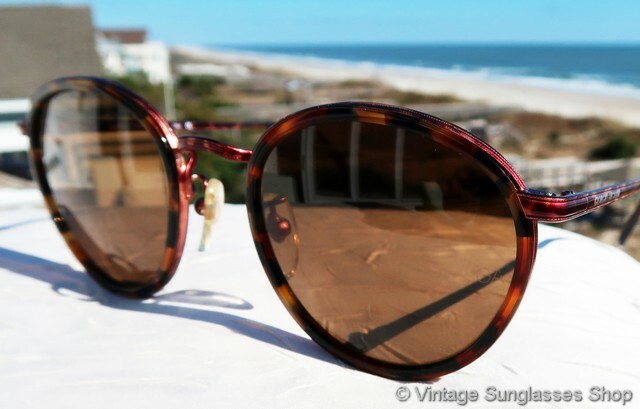 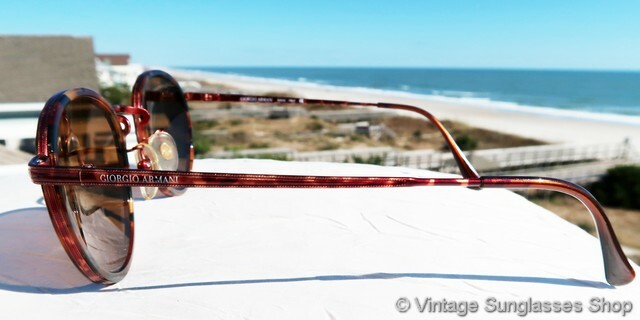 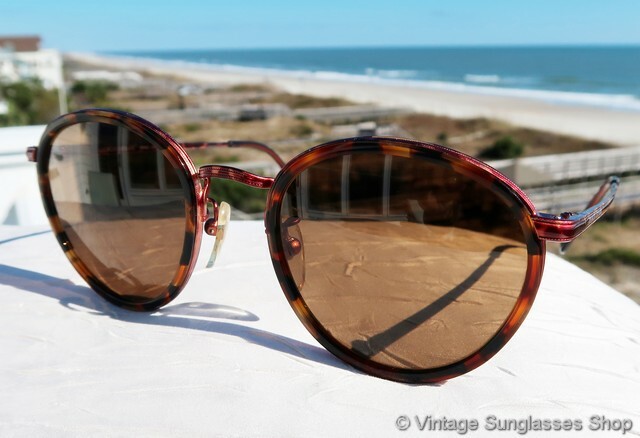 Vintage Giorgio Armani 101 788 sunglasses stand out for their beautiful red tortoise shell frame with corner etching that adds even more design flair. 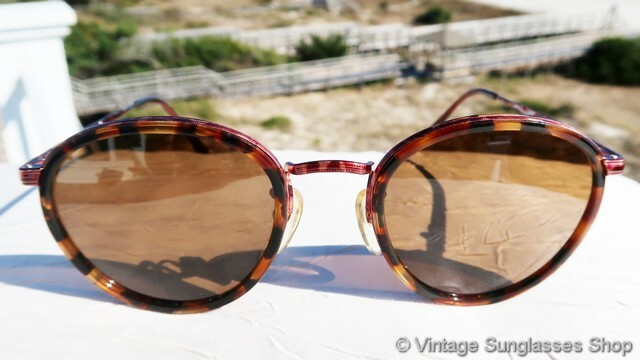 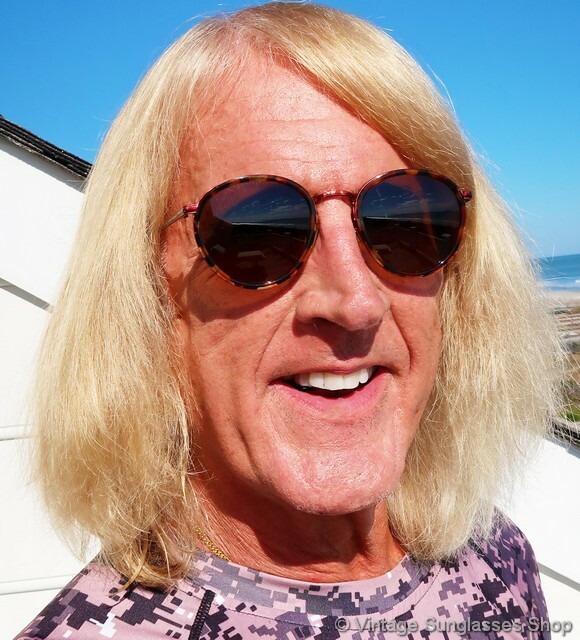 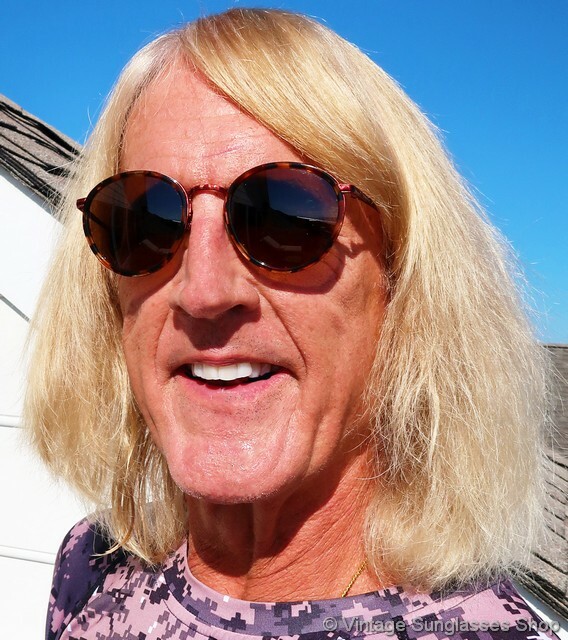 We think Armani 101 sunglasses are one of the best designs ever produced by the House of Armani, and their subtle elegance is a far cry from today's designer sunglasses where the logo is the star of the show. 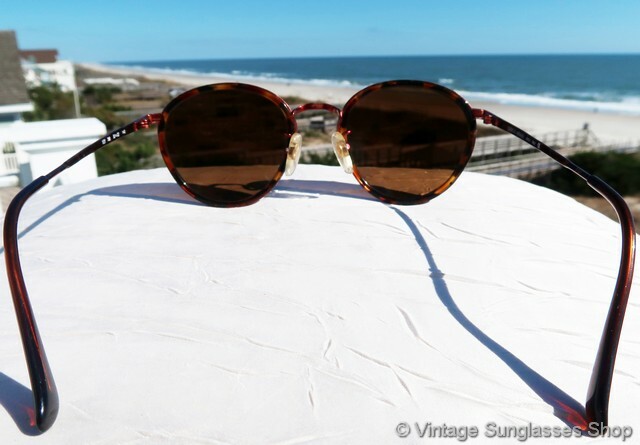 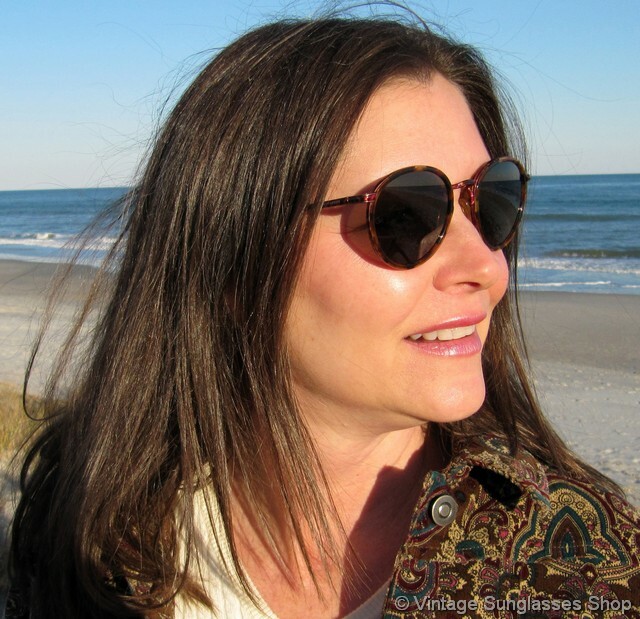 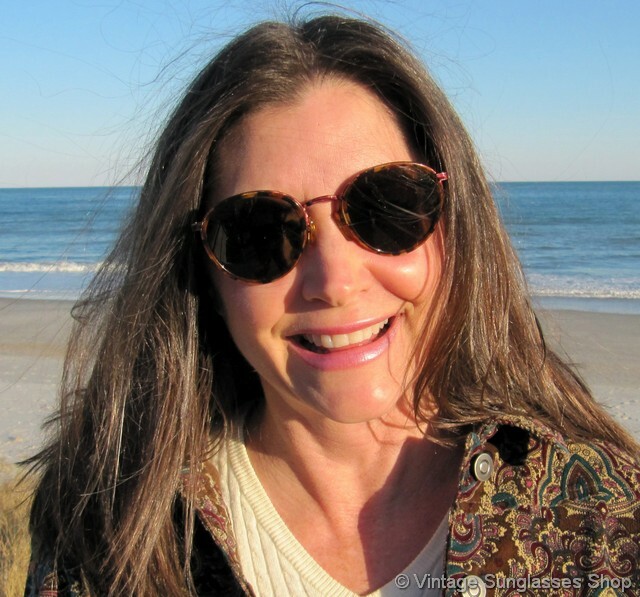 The Italian frame measures approximately 5.125" temple to temple, and each of the Armani lenses provide 100% UV protection for your eyes and measure approximately 1.75" in diameter with both laser etched GA near the hinges. 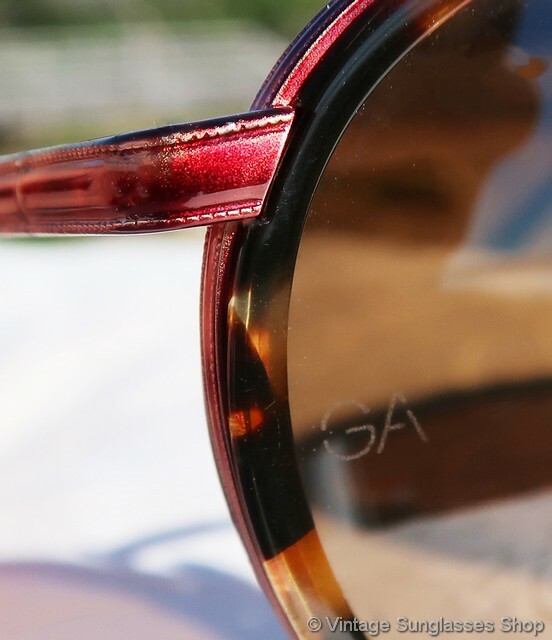 The inside of one ear stem is marked Giorgio Armani Made Italy CE while the inside of the other stem is marked 101 788 48  22 140. 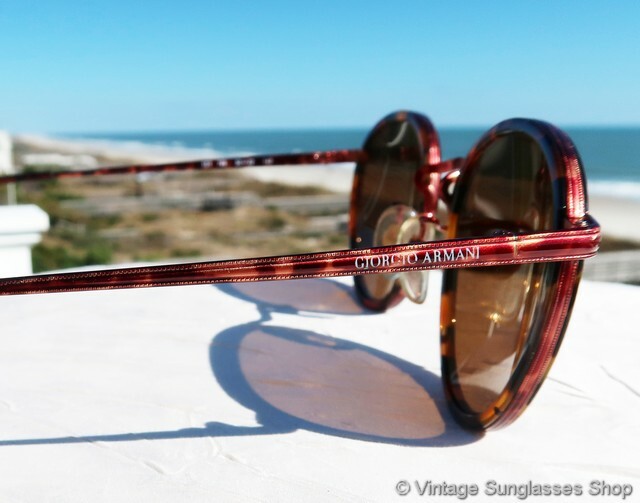 The Giorgio Armani logo is subtly embossed on the exterior of both ear stems near the hinges, part of the collection of a well known TV figure and long time customer of the Vintage Sunglasses Shop.